Industry 80 offers men's styles of long scissor cuts and trendy short clipper cuts. Haircuts offered range from antique to classic to cutting-edge. Traditional scissor haircuts, fades, mohawks, even a good old fashioned crew cut—whatever look you fancy we are happy to keep him looking his best. A simple buzz, using only one clipper guard length. 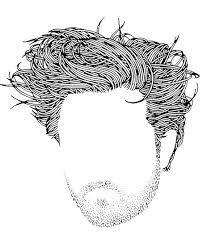 We trim your beard using clippers and scissors to give it a clean but natural look.